Solarity Credit Union has always been ahead of the curve and not afraid to take the plunge into the unknown—especially when compared the often methodical nature of member-driven credit unions. 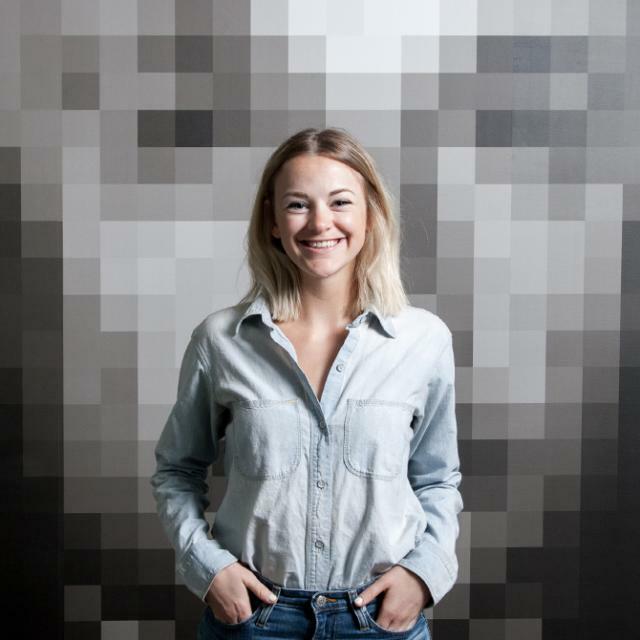 Coming to us with the ambitious goal of becoming the nation’s premier digital credit union, we jumped into the partnership with both feet and immediately began planning both short- and long-term campaigns with Solarity’s marketing team. 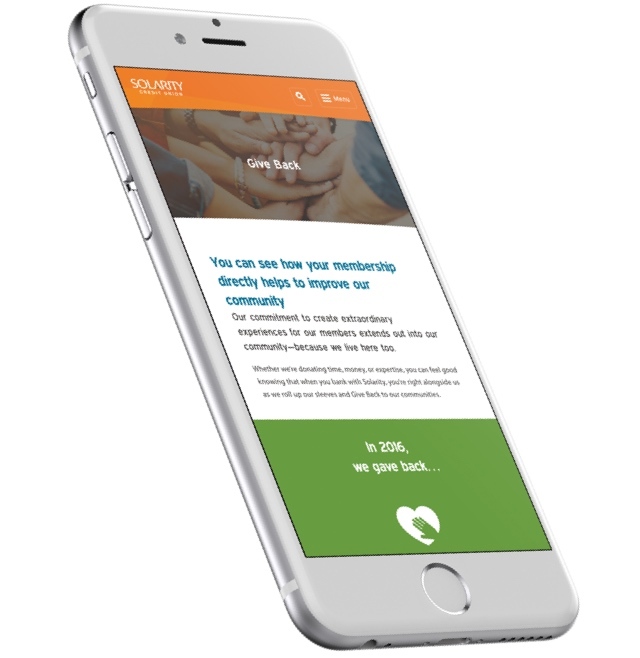 The result is the credit union industry’s most (at least that we’ve seen) robust, resource-loaded website paired with measurable, ongoing digital marketing campaigns focused on growing conversions and brand authority. Solarity isn’t your typical credit union. Forward-thinking, innovative, and eager to embrace technology, Solarity Credit Union is thriving in an industry that is generally resistant to change. From our first meeting, their enthusiasm was contagious and we immediately started to frame UX ideas and content solutions around Solarity’s vision: Understand your target market, anticipate their needs, and guide them to the best solution. With that in mind, we worked to build a banking experience that holds your hand from the beginning. Potential members aren’t limited to comparing products and rates, but are able to consider large financial opportunities and be ushered to best options to fit their goals, while current members are smoothly guided through any task as if they were visiting a physical branch—directly from any phone, tablet or laptop. Orange is the new… blue? With every other financial website opting to use a trusted shade of blue, Solarity’s orange is refreshing and active—and essentially what makes Solarity such a rewarding project. 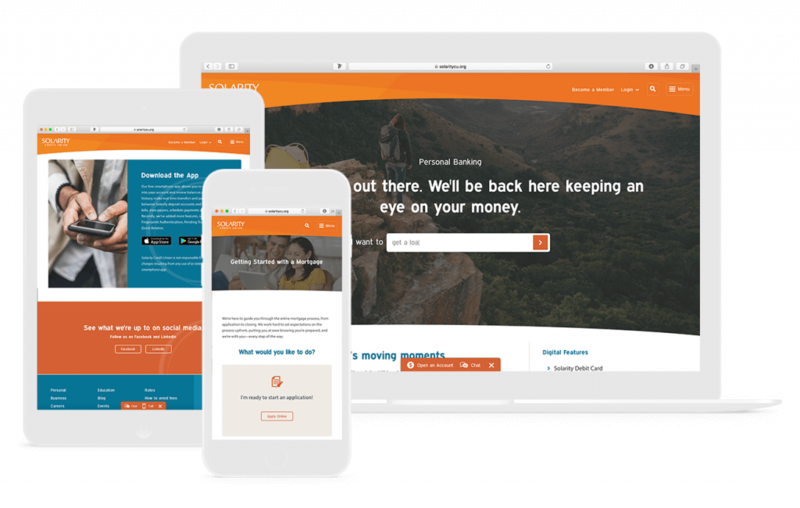 Our designers and strategists worked with Solarity’s marketing team to not only translate the fresh, orange rebrand to the digital space, but also build an experience that allows members to learn and ask questions as if they’re interacting with a teller as opposed to a website. Before contacting Gravitate, Solarity recently rebranded. Everything was new—brand guidelines, messaging and voice, and even Solarity’s brand colors were updated. It was our job pick up the energetic, upbeat new brand and elevate it for digital. 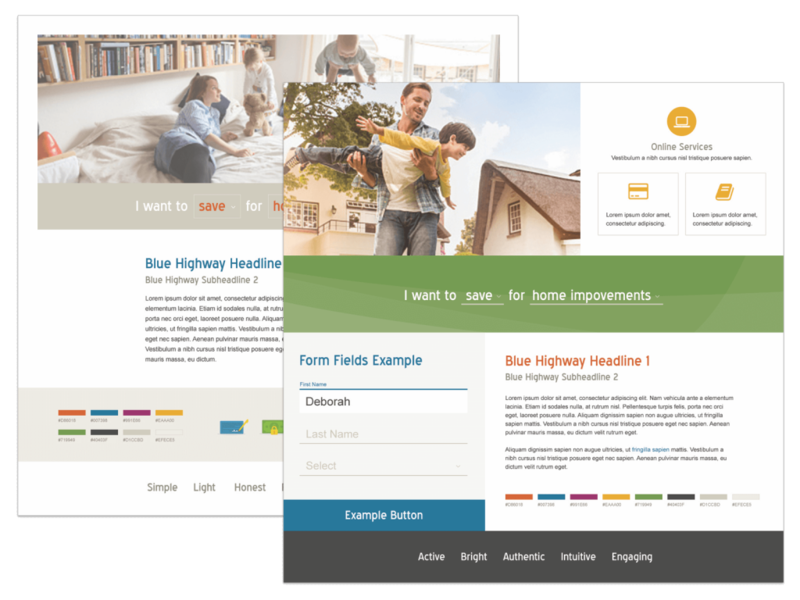 In terms of design for the website, we worked through a series of moodboard exercises with the client to get everyone on the same page, aesthetically. Those conversations informed our design decisions going forward, translating into a universal look and feel, from branch to collateral to website. The new brand personifies Solarity’s employees perfectly—optimistic, always smiling and eager to help. But how to do you translate these qualities to a website? We call it hand-holding, and it’s the architecture in which we based each target persona’s user flow as it moved through the site. 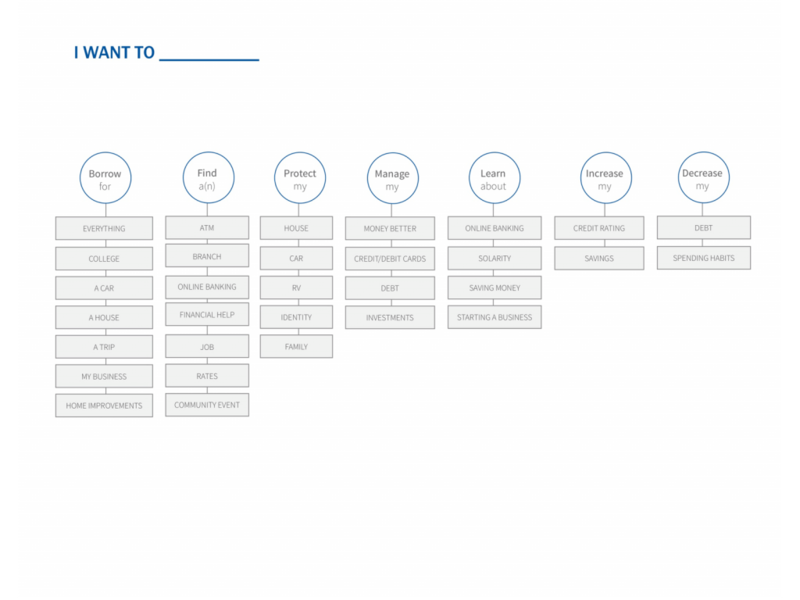 As different audiences interact with different parts of the website, we map out user flows and touch points related to different goals. Looking for a mortgage lender? We have several paths through the website to accomplish this task—each serving specific, catered messages and offers depending on the user’s current device (phone, tablet, computer), past interactions with the site, and desired navigation route. The writing across the banking world is fraught with corporate babble, buzzwords, and cheesy idioms. Our copywriting team, armed with fresh, crisp language guidelines from the rebrand, worked with and interviewed over two dozen SMEs across Solarity to understand both the capabilities and the extraordinary lengths Solarity employees extend to help just one current or potential member. The result is relatable, compelling content that guides the user and feels more like a helpful conversation with a teller than just words on a website. Rarely do you meet a financial institution dedicated to education. Rates seem to always upstage resources so when Solarity was receptive of adding a robust, dedicated resource section to the website—we were surprised. This new territory for credit unions allowed both current and potential members to learn everything from: How to save for a RV down payment and monthly budget guidelines, to mortgage process walkthroughs and identity theft prevention tips. Not to mention, it’s jammed with engaging, keyword optimized copy to boost search engine rankings. To ensure everything from subtle front-end animations to seamless back-end admin features our development team was involved with this website project from the discovery meeting. By doing our tech spec homework and staying intimately involved with the strategy and planning of the project, our developers were well-prepared for every site feature and custom functionality heading into the development stage of the project. Digital Assistant Teller Integration, or DATI (pronounced Dottie) is a predictive text, navigation tool we built from the ground up for Solarity’s homepage. Born from the idea the website should field questions and act as a member’s digital teller, DATI is available anytime as a solution-based approach to navigate the website. In fact, in post-launch heatmap tracking we’ve actually discovered DATI is used far more than we ever anticipated—and that’s probably because it’s so useful. Let’s say you need to make an update to your home loans ‘Features’ list. It’s a small update, however, you know that this list appears on at least 8 pages within the website. With our content block system, the website admin can make the update to the ‘master’ content block and update. Once complete, the change will be automatically updated on every content block where the home loans features appeared. Imagine that—but expanded to every dynamic section of the website—and you have the ultimate, back-end control as a web admin. When you’re building a banking website—you can’t reinvent the wheel at every turn. The website needs to communicate with other pre-built systems through application program interface (API) integration. We seamlessly integrated online banking applications, built ATM location services using GoogleMaps, reskinned third-party mortgage loan origination software, and even integrated with TimeTrade to sync employees’ schedules. In addition, after the launch of the website we rolled out full Marketo, Digesto, and InMoment integration to streamline marketing automation and customer experience management. 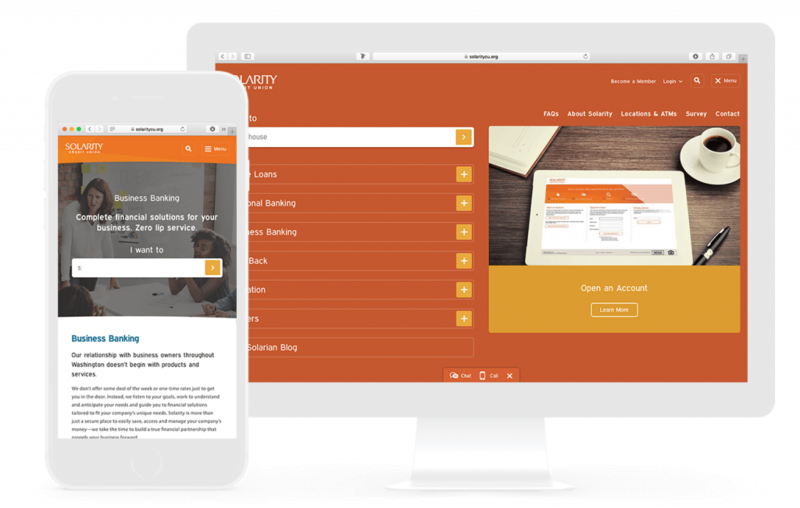 Considering Solarity’s ambitious goal of becoming the nation’s premier digital credit union, the website project was only the beginning. Between multiple digital campaigns, Marketo marketing automation, and continuous website optimization tactics—we’re currently reaching multiple channels and verticals to quickly spread the word that Solarity provides unmatched, extraordinary experiences for current and potential members. Since mortgages are the lifeblood of any credit union, we built a campaign targeting first-time homebuyers throughout Central Washington. To summarize, through a series of A/B tested display and Facebook ads—along with PPC promotion—potential homebuyers are funneled to a landing page. The page featured an engaging, step-by-step quiz which supplied Solarity Mortgage Loan Officers (MLOs) with highly-detailed buyer information. With the initial goal to exceed on-location leads, we have doubled the branch leads to this point and are continuing to test and optimize. Marketing automation breathes even more life into a website or landing page. With the ability to track, influence, and convince both potential members to join and current members to increase products per household—marketing automation can be an incredibly powerful tool. We have integrated Marketo, the leading marketing automation platform, into Solarity’s website. Now Solarity marketers have the ability to nurture prospects with highly personalized, useful content that helps convert prospects to members and turn members into raving fanatics. After the website launches our digital marketing team gets to work. From go-live forward, we analyze how users are interacting with every element of your website. 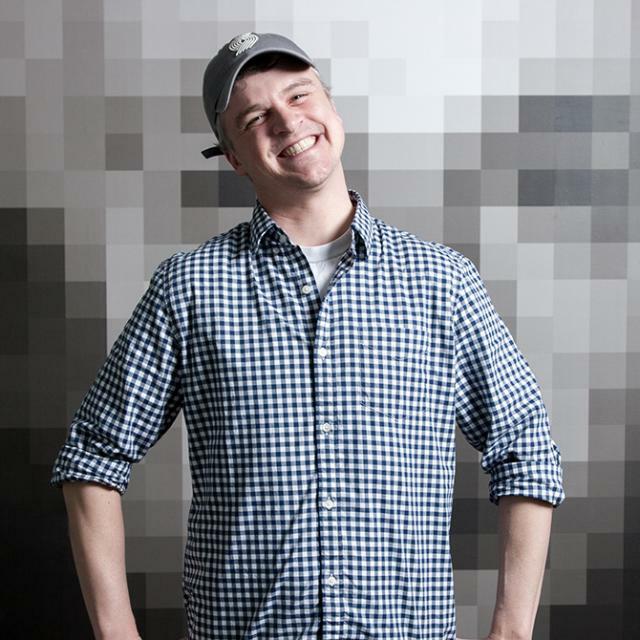 From testing lead forms bounce rates and click-through tracking on CTAs to A/B testing the labels and colors of buttons—each retainer client undergoes an extensive quarterly checklist to not only address smaller problems, but also to directly inform optimization campaigns aimed to boost underperforming pages of the website. Solarity approached us with an ambitious goal—and we delivered. Welcome to the credit union industry’s most (at least that we’ve ever seen) robust, resource-loaded website. This powerful foundation paired with measurable, ongoing digital marketing campaigns laser-focused on growing conversions and brand authority ensures Solarity continues to dominate the stale competition for years to come.